That’s right folks. This year the Northern Ireland leg of the British Championship will be taking you on a magical mystery tour of the Kingdom of Mourne. We are pretty sure you will all be keen to make a reservation for a trip on our bus, which is dying to take you to the start of our point-to-point race. The race in question is The Mourne Highline. It has been designed as a journey through some of the high places in our local mountain range. The course has something for everyone from grassy climbs, to rocky descents, to airy ridges we offer to you a real slice of adventure wrapped in this medium length race. So roll up, roll up for the mystery tour! Pre-entry only. This event will have a limited entry cap of 350. Entries will open on the 1st January 2018 at 8.00pm and close on the 1st April 2018 or when entry limit is reached. Fee includes – Bus transport, light refreshments, showers, car parking, use of Sportident (Si ) race management/results system. All Si cards are provided and pre-logged onto the system; no personal Si cards can be used. Substitutions are not allowed. Min. age 18. Teams free. Donard Park, Newcastle, Co. Down, Northern Ireland. Parking, toilets and showers. GR373306. Registration, refreshments and prize giving will be in THE Newcastle Baptist Church Hall, 17,Bryansford Road Newcastle BT33 0HJ (as for last years championship race) which is 400m from Donard Park. There are plenty of B&Bs, guesthouses and self-catering cottages in the area with Newcastle the main centre. Newcastle has a Youth Hostel and there is a well-appointed campsite at Tollymore Forest Park. Meelmore Lodge on the north side of the Mournes (GR305307) has a basic campsite, showers and a café. Other accommodation details are available from Tourist Information offices. The bus drop off will be at Spelga Dam car park (Map ref 267274) from here you will be directed a few hundred meters to the Start (inside gate. Map ref 268274) After a short grassy climb to the summit of Slievenamuck and a quick descent to the road crossing at Map ref 281279 get ready for a leg sapping climb to the summit of Slieve Meelbeg Checkpoint 1. The route then follows the Mourne Wall in an clockwise direction, the roller coaster section of the course starts by first dropping down Slieve Meelbeg then straight up to Slieve Meelmore Tower Checkpoint 2 crossing the Mourne wall using the stile. There then follows a steep rocky technical descent before another steep climb to the Summit of Slieve Bearnagh Checkpoint 3 and a long descent into the Hare’s Gap. Climb the granite steps on route to Slievenaglogh Summit Checkpoint 4 then continue over Slieve Corragh before beginning to climb Slieve Commedaghs steep grassy slopes. You should cross the Mourne wall once again using the stile next to the stone tower near the summit of Slieve Commedagh as Checkpoint 5 is 150m North East of the tower across the flattish summit. All the climbing is over now. The route is then downhill all the way to the finish at sea level almost 2,200ft in 4km. First descending from the summit in a Northerly direction before swinging east over Shan Slieve. The next section to Checkpoint 6 at the stile on the edge of the forest is a mixture of grass and short heather with stony patches becoming steeper with some rock when approaching the forest. Take care on the descent if conditions are misty you will need a compass bearing as the ridge is both broad and deceptive. From the stile a firebreak leads to a forest road and descends on small paths through Donard Wood to the finish in Donard Park. This section of the course from the stile at Checkpoint 6 to the finish will be marked. All runners must carry the below equipment, no matter what the weather conditions. Waterproof garments affording complete body protection. As this is a challenging race you must be prepared for all eventualities especially if the weather is bad as your navigation will be tested. 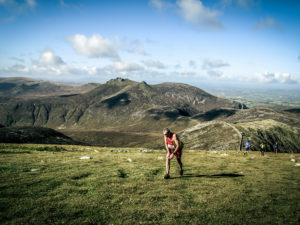 If you do have to pull out tell a marshal (if possible) and return by the safest direct route and report to the race organisers at the finish when you get back to Donard Park so that we know you are safely off the hills. Hand back your Si card (dibber). For those who plan to carry a mobile phone the emergency contact number on the day will be 07803136002. By air you can travel to Belfast City and Belfast International airports. Easy jet to Belfast International airport, BMI to Belfast City. You can travel to Belfast and Larne by ferry from Cairnryan, also Dublin/ DunLaoghaire from Holyhead. Stena, P&O all operate services. P&O: 0870 24 24 777.www.poirishsea.com. Stena: 08705 70 70 70. www.stenaline.co.uk. 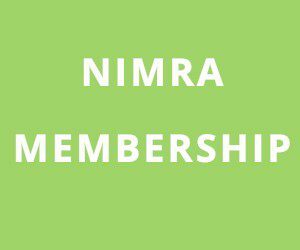 Can be found on our website: www.nimra.org.uk. 2:30pm Refreshments available at Race H.Q.